One of the few things that my villa in Castlecliff has in common with my farmhouse in New Hampshire (USA) is that the Jehovah’s Witnesses always know how to find where I live. Now, this may not seem like a great accomplishment of geo-location on their part, but the location of my farm practically defined the wop wops. Trollbakken – as it was named by the previous Norwegian owners – is two miles off a rural highway, one mile beyond where the pavement ends, ½ mile after the last power pole, and 1/3 mile past where the snowplows turn around during the five months of winter. In other words, it is heaven on Earth. How I came to trade that paradise for my current one here in Wanganui is a story for another day. As a traditional “cape cod,” it has a massive center chimney (with three fireplaces) that serves as thermal mass at the heart of the dwelling. Once warm, the chimney would hold that warmth for long periods after the wood fires had gone out. Taking what I learned from Batchelder, I looked for a house in Wanganui that was sheltered from the prevailing winds and would get good morning sun. Additionally, we installed our wood burner along an interior rather than exterior wall of our villa. Neither home was insulated when I purchased them, so that was a priority in both cases. 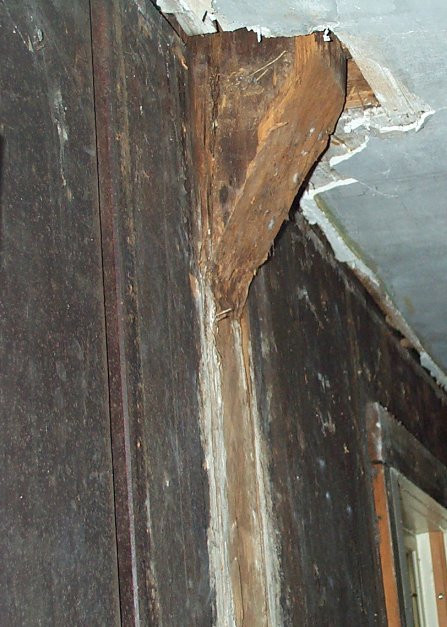 Because of the historic nature of the Batchelder home, the renovations were limited to insulating the attic, replacing rotted wood in a few places, and exposing the original hand-hewn chestnut post and beam frame. The last of these three started as an innocent idea to remove some ugly wallpaper. Under the ugly wallpaper was more ugly wallpaper. Under that was cracked horse hair plaster and split wood lathe that Dani and I decided to remove. 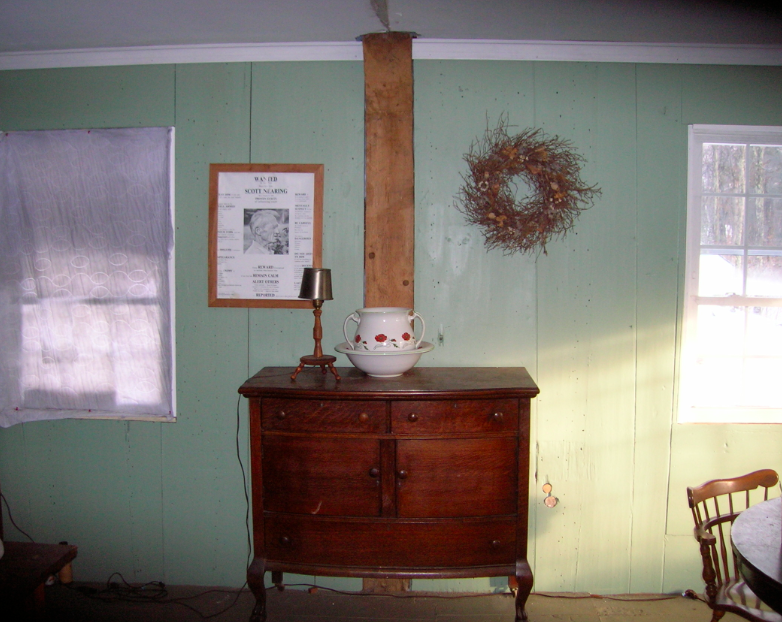 And under that was a hidden treasure: 20 inch wide vertical boards and the 8 inch by 8 inch hand hewn posts. An afternoon project turned into a two-week project that included pulling hundreds of small nails that held on the lathe, caulking lots of small holes, painting and installing a crown molding. At the same time I replaced the two windows on that wall with new double-glazed windows (the frames are made from vinyl, not aluminium, in the States). 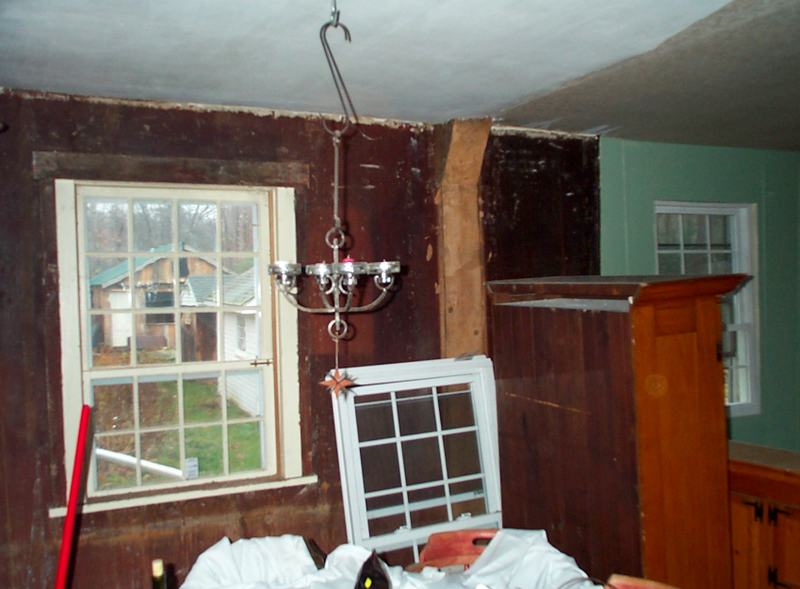 Renovating a 220-year-old structure is a slow and cautious process. 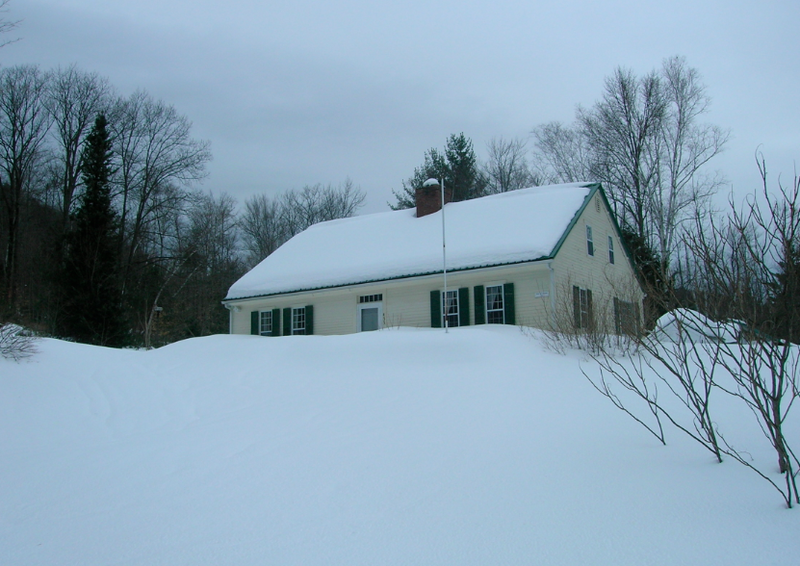 But as a farmer with five months of snow cover, I had plenty of time to dedicate to it. No phone. No TV. No internet. 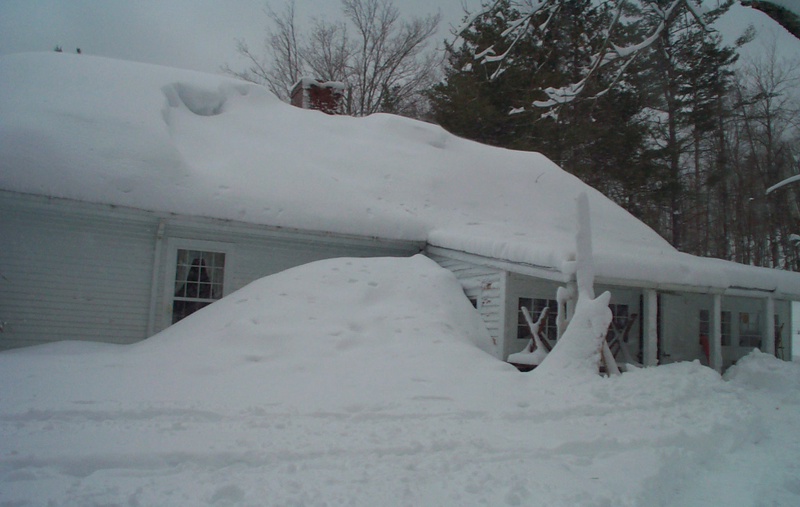 Not even the Jehovah’s Witnesses were willing to make the 1/3 mile journey through thigh-deep snow between December and April. (But like the black bears, they would return in spring.) Nothing much to do but learn lessons from the ghost of Mark Batchelder. Those lessons have served me well. Eric's strategy is to invite them in to bombard them with scientific rantings. Equally effective!